Christy Kunjumon posted on Google+ the other day an example of searching for a brand on Google and that brand's search listing being pushed down by Google's own sponsored result. 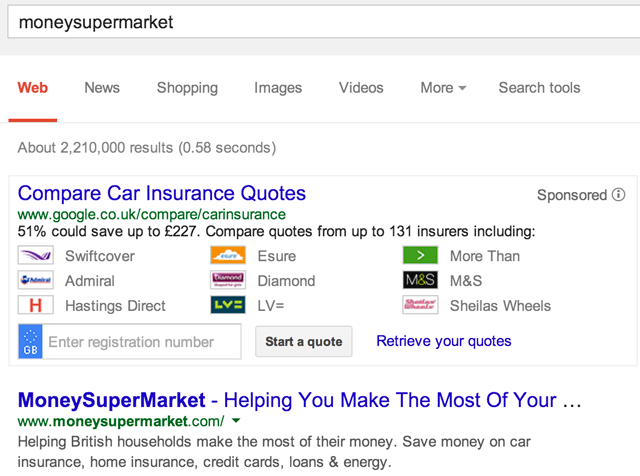 Search Google UK for [moneysupermarket], which is a name of a company. You'd expect some ads but not a sponsored listing asking you to use their comparison engine over the brand that someone searched for. This does not seem to be a test, because I am replicate this myself. If it was a test, I'd probably let it slide but seriously Google? If someone searched for my company and was given Google as the top result, I'd be really upset. 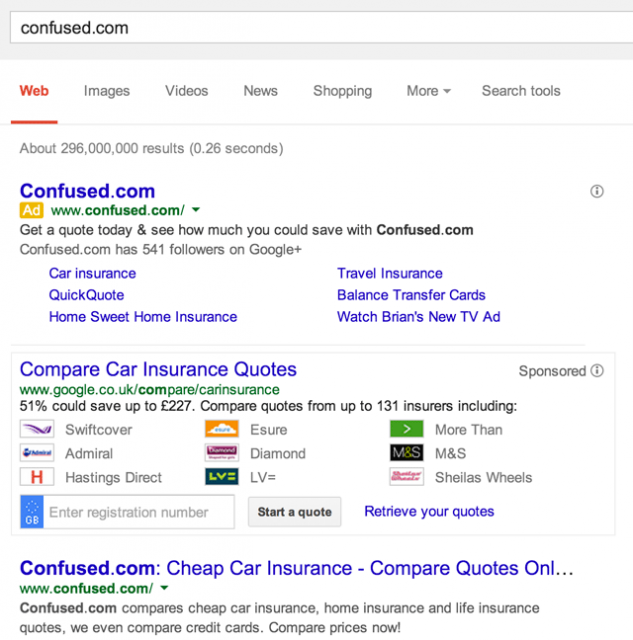 Ann Smarty said on Threadwatch, "branded SERPs are all we have had left for us!" Well, maybe not any more. Forum discussion at Threadwatch and Google+.